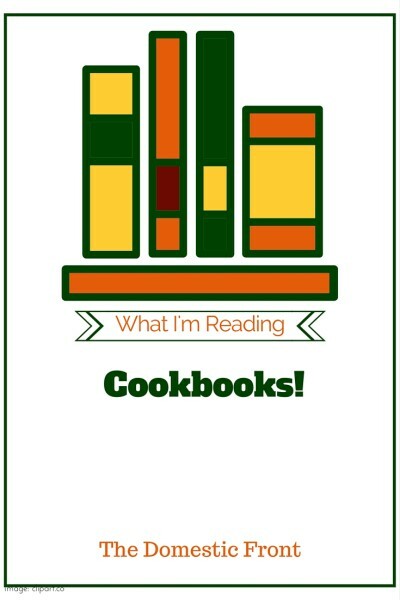 I know I am late on another What I’m Reading post (and a lot of other things) but I thought I’d do a roundup of some other fun reading I’ve been doing/using lately – Cookbooks! I thought I’d give you a review of some of the cookbooks I’ve been reading and cooking from lately. Diana Henry, where have you been all my life? (My answer is that I had her confused with Diana Kennedy , who is an extremely accomplished authority on Mexican cooking). Diana Henry is a British cookbook writer and columnist for the Sunday Telegraph, and her recipes are exactly what I want to cook AND eat most of the time – big flavors, simple prep. I bought Pure Simple Cooking (called Cook Simple in the UK) on a recommendation, and proceeded to cook out of it for three weeks straight, making things like Arroz con Polly y Chorizo (like a lazy person’s paella), Smoked trout watercress salad, baked cod with a zesty crust, and rhubarb cake. I liked it so much, I promptly bought the Kindle Edition of a Bird in a Hand, which answers in about a hundred different ways the eternal question of the family cook, “What ELSE can I do with chicken?” Favorites from that one have included a Turkish spiced grilled chicken with a spicy relish made from olives and herbs and roast chicken in the pan with garlic, potatoes and cashel blue cheese butter. Feeling a bit guilty over that blue cheese butter, I then bought A Change of Appetite, which is a lighter approach, but unlike most of the “healthy” cookbooks I’ve seen, doesn’t pick one trendy diet (low fat! no carb! vegetarian!) and stick with it – nor does it use ingredients that may be impossible to find or unappetizing, like coconut aminos or butter flavored cooking spray. Instead, it’s full of delicious-sounding recipes for sensible eating – a little lower in fat, cutting back on refined sugars and white flours – but not sacrificing any flavors. Scandinavian salmon burgers were the first recipe I cooked from this one, and they were a big hit. I love that Henry’s recipe are not out of reach for the home cook, but they’re not boring – she draws from traditional British and French cooking, of course, but also Mediterranean flavors, and Asian, and Middle Eastern (and Latin American!) Any or all of these books would be a terrific addition to any home cook’s library. I wanted this book because I am eternally trying to get more vegetables into my diet (aren’t we all?) and I think that if I have just enough recipes, I will. Hugh Acheson (who is a chef and restauranteur in Georgia) has written a book designed to entice even the most reluctant vegetable cookers – each vegetable (and fruit- there are fruits too!) has its own section, with at least three recipes per item – two “easy” recipes and one more involved and complicated recipe. The recipes are appealing and give you ways to use possibly unfamiliar vegetables – celery root salad with buttermilk dressing, kohlrabi salad with pecans, lime, paprika and marjoram – and the photos are gorgeous. You can tell, however, that Acheson is a restaurant cook, and not a home cook – even the “simple” recipes could contain some specialized ingredients (marjoram, for example, is tough to find in my neck of the woods) or complicated techniques. The recipes also have a decidedly southern bent, which is to be expected, given its provenance, but this California girl is hard pressed to find sorghum, scuppernong grapes, and country ham, which pop up with relative frequency. Still, it’s fantastic to have a vegetable-focused cookbook that isn’t necessarily vegetarian (anchovies can really up broccoli’s game) and while this isn’t my go-to cookbook for your average weeknight meal, you can bet I’m going to be turning the pages before a dinner party or even Thanksgiving. Who should own this book: Southerners with some time to spend in the kitchen. The Genius recipes column is one of my favorites on Food52 – every week, Kristen Miglore finds some recipe from a cookbook or a chef that has something that makes it “genius” – whether it’s a trick or twist to the technique, a new way to serve a familiar food, or just the platonic ideal of that recipe. A lot of these recipes are online on Food52, and most of them are also available in other cookbooks, but I thought this was a great cookbook anyway, for sheer inspiration. Some of the recipes were kind of wacky – basically a flour tortilla french toast as a “crepe” is one that comes to mind (it was good though, and pretty convincing, though a little thick), and some of them were hard to see the “genius” of (an Ottolenghi recipe for black pepper tofu was very tasty, but a bit fiddly to make, and not that unusual, technique-wise), but it was still a cookbook that I checked out of the library and immediately bookmarked about seven recipes to make THAT WEEKEND. Some of them are going into my forever rotation (broccoli cooked for YEARS with some olive oil and anchovy and garlic until it is delicious, olive green sludge, Molly Wizenberg’s tip for adding a bit of red wine to your salad dressing made with indifferent vinegar to smooth it out is really genius) and some of them are definitely still in my “to try” pile. Since so many of the recipes are available online, you don’t need this cookbook if you are feeling poor – but it is fantastic for inspiration, and if you prefer cooking from a book rather than a screen, this book may be worth it. I met Maggie at the second Big Traveling Potluck, and she’s absolutely lovely in person, and her cookbook, which is clearly a labor of love, is just as lovely. Going into the season of gifting, I can tell that this cookbook is going to be a workhorse. It has dozens of recipes for food gifts, falling into the rough categories of fresh, pantry, baked, preserved, and spirited (boozy), as well as suggestions for pairing gifts into theme boxes and wrapping and packaging (and shipping!) Maggie believes that a homemade food gift is an ultimate expression of love, and seeing how beautiful all her creations look, I tend to agree with her. Tamasin Day-Lewis (sister of Daniel) is a respected Anglo-Irish cookbook writer, and if you are looking for a good basic British cookbook with a personality, you could do worse than to look for this one. It contains lots of classic English and Irish recipes – potato scones, Victoria sponge, Spaghetti Bolognese (which is a different thing in the UK than it appears to be in Bologna) as well as more exotic fare – baked kibbeh with pine nuts, Chinese pork belly – and some great kitchen strategies for handling things like holiday cooking. I probably didn’t need it – as a confirmed anglophile, I probably have about six recipes for parkin scattered through various cookbooks, and I already know a lot of the basics – but I’m going to save it for my kids for when they leave the nest and set up their own kitchens. Who should own this book: Beginner, ambitious cooks. Eek, can you help? I loved your review of the Diana Henry books (I’m a big fan too), and immediately thought “why have I never made the smoked trout salad?” I’ve looked through Pure, Simple cooking and can’t find it. EYB is not helping. Can you direct me to where it is? Possibly a different one of her books? Thanks so much in advance. It’s in Pure Simple Cooking as a hot smoked salmon salad, but she says in the headnotes you can use smoked trout. Also has potatoes, watercress and a buttermilk dressing. Thanks so much for the info. I should have figured it was one of those “also try” recipes.